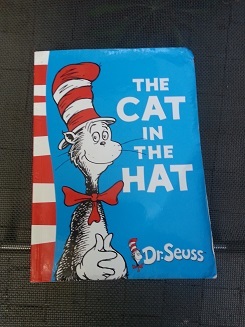 This week we are going to focus on rhyming words using ‘The Cat in The Hat’ by Dr. Seuss. Rhyming words are those that have the same sound at the end. It is an important literacy skill as it helps your child hear sounds in words which then helps with reading and spelling. By studying rhyming words, your child is also learning about word families – for example all the words that end with ‘at’. Read ‘The Cat in The Hat’ by Dr. Seuss to your child. Allow them to hear you emphasise all of the rhyming words. If your child has started to read simple books, they may also want to read this book to you. 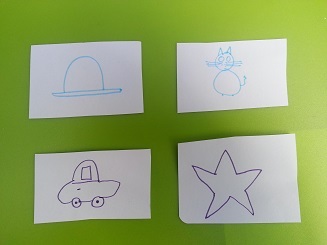 Rhyming Matching Cards: Make a list of rhyming words from ‘The Cat in The Hat’ as well as any other ones you can think of. Select words you can draw a picture for. Cut out about 20 pieces of paper and illustrate rhyming pairs such as hat/cat, man/fan, fish/dish, tin/pin or run/bun. Randomly spread out the cards and get your child to match the rhyming pairs. As your child gets more confident you might even time how fast your child can match them. You can play the same game with the written word if your child is ready. Rhyming Dice: Another fun game is to glue some of the pictures to the sides of some blocks. Roll the ’dice’ and whichever picture comes up your child has to think of as many rhyming words as possible. 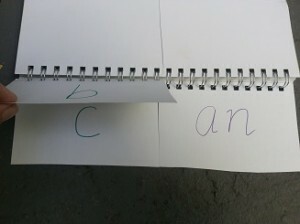 Rhyming Flip Books : Cut the pages of an exercise book in half (see picture). On the left side write one letter of the alphabet on each page. On the right side write a different word family ending – for example ab, ad, ag, am, an, ap, at, ib, id, ig, in, ip, ob, og, op, ub, ug, um, un, ut. Children flip the pages to make different rhyming words – some words are real, others are made up. See how many real words your child can make. 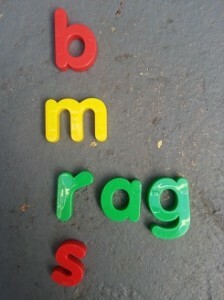 Magnets For Rhyming : Use magnets to easily make rhyming words. 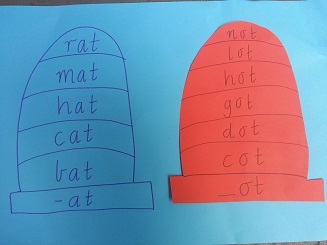 Rhyming Hats – Use this photo to inspire your rhyming hat word wall! 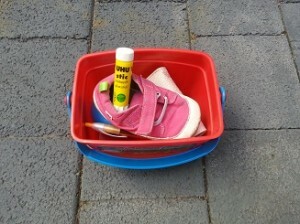 Make a Rhyming Bucket: Collect things from around the house and try to put in a couple of things that rhyme – for example bat/rat, glue/shoe, spoon/ moon. These things can be objects, photos, drawings or pictures from magazines. 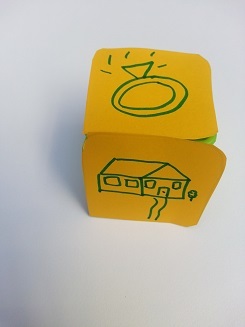 Another idea is to add any objects you like to the bucket, then ask your child to close their eyes, pull out an object and have them tell you as many rhyming words as they can in thirty seconds.